2017 marked the first year that I wrote for All About Jazz, and I got to experience some phenomenal music. 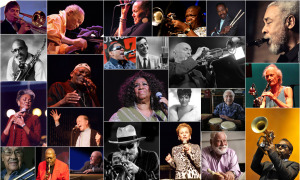 It was a diverse year in jazz, international artists like Tony Allen and Seckou Keita brought unique perspectives to jazz. 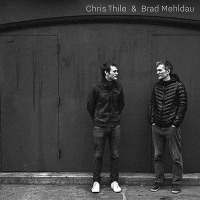 Other artists like Chris Thile, Brad Mehldau, and Daymé Arocena, released some of their best work to date, while veteran artists like Fred Hersch and Don Ross expanded upon their already trademark sounds. 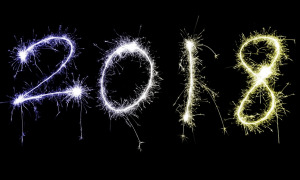 Here's my list of my favorite of the year. 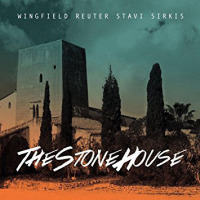 The Stone House is innovative improvised music performed by four virtuosic instrumentalists at the top of their respective games. 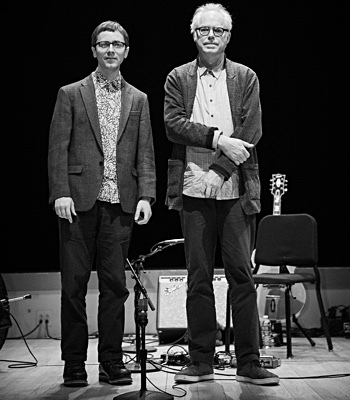 The two guitarists on this set Mark Wingfield and Marcus Reuter vastly different approaches to the instrument. Reuter plays using a touch technique while Wingfield is more traditional, that complement each outer beautifully. 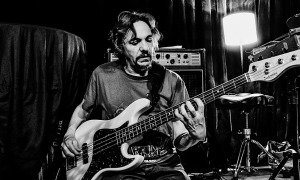 Fretless bassist Yaron Stavi and drummer Asaf Sirkis combine to create a tight rhythm section and help connect the various sections of each song. 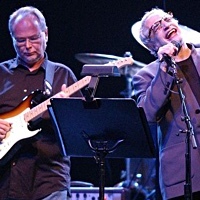 The music moves from light, airy movements reminiscent of ECM, to hard- hitting distortion-laced freakouts. Highlights "Silver" and "Four Moons." 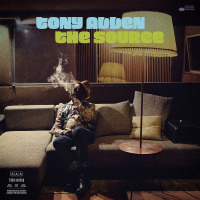 Tony Allen, the long-time drummer for the legendary Fela Kuti, brings the groove on this Fantastic Jazz/AfroBeat hybrid. Brian Eno described Allen as "perhaps the greatest drummer who ever lived," and Allen certainly lives up to that high praise here. His drumming drives this album without overpowering it, a great display of how to play for the song. Allen assembled a crack team of Parisian jazz musicians around this collection of original material co-written by saxophonist Yann Jankielewicz. Highlights "Moody Boy" and "Push and Pull." An album that moves from the meditative to the frenetic on a dime, Far From Over is one of the years most exciting albums. 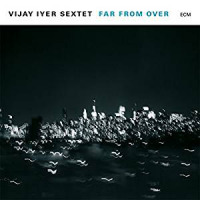 Iyer and company are not afraid to take a risk on this record, the horn section of cornetist Graham Haynes, alto saxophonist Steve Lehman, tenor saxophonist Mark Shim, play off each other brilliantly. The rhythm section of bassist Stephan Crump and drummer Tyshawn Sorey hold it down providing an excellent foundation for the virtuosic soloists. Highlights "Far From Over" and "Down to The Wire." 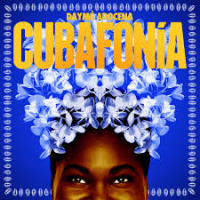 Daymé Arocena cements her reputation as Cuba's best young vocalist on this outstanding project. Cubafonía is a truly multinational record, the first track "Elleggua," a tribute to the Santeria god of the crossroads, features Arocena singing in Yaroba a west African language. Other tracks feature her singing in English and French. Her backing band complements her daring songwriting, bassist Rafael Aldama Chiroles, pianist Jorge Luis Lagarza , and drummer Ruly Herrera lay down some fantastic grooves throughout the record. Highlights "Elleggua" and "Lo Que Fue." It always warms my heart to see established artists change their sound. 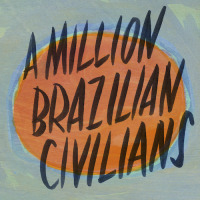 Acoustic guitar pioneer Don Ross does so to great effect on A Million Brazilian Civilians, incorporating vocals, full band arrangements, and as the title predicts Brazilian influences, into his unique brand of fingerstyle guitar. 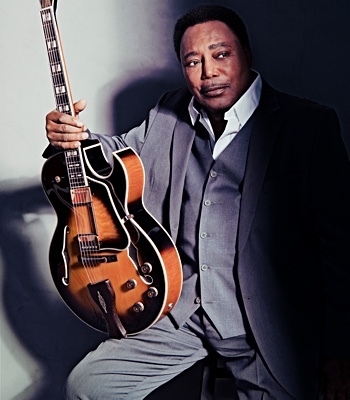 This is no new-age solo guitar record, Ross has an energetic style that draws heavily from R&B and Funk music. A great addition to a fantastic discography. Highlights "Corvos" and "Dracula and Friends Part 2." 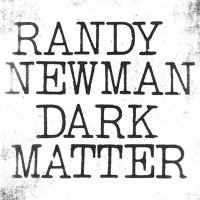 One of the most sardonic songwriters of the past century proves that he still has plenty of things to say on Dark Matter. The targets of Newman's barbs include the debate between science and religion, the Kennedy Brothers, Russian Prime Minister Vladimir Putin, and himself. 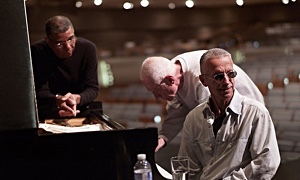 Musically this is one of Newman's most diverse projects touching on free jazz, Cuban salsa, and blues. Highlights "Brothers" and "On The Beach." 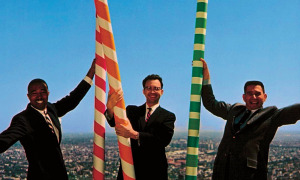 We often forget that Country and Jazz can be considered musical cousins. The two American artforms, share common roots, and this album reminds us how great it sounds when genres have a family reunion. The first album recorded by this piano mandolin duo never ceases to amaze. The two artists play off each other brilliantly, and the mix of covers and originals perfectly matches their down-home bare bones sounds. Thile's delicate vocals suit these introspective songs brilliantly. Hopefully, this is the start of a long and fruitful partnership. Highlights "Marcie" and "Scarlet Town." 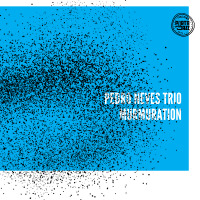 Like the previous selection, this album is a brilliant fusion of jazz and folk music. 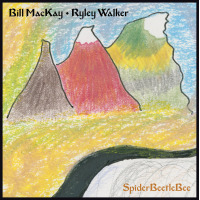 Jazz guitarist Bill Mackay and experimental folk guitarist Ryley Walker playoff each other beautifully. The mix of upbeat songs and ballads help keep this instrumental effort from sounding stale. Guest appearances by cellist Katinka Klein of the Chicago Symphony orchestra and Tabla player Ryan Jewell add fantastic touches to these tunes. Highlights "I Heard Them Singing" and "Dragonfly." Michael Manring is like manna for me. When I see him playing on something I immediately listen, and usually, I enjoy it. Manring's custom made fretless "hyper bass" has an otherworldly tone that is only matched by his stylistic diversity. Few bassists can work with new-age label Windham Hill and heavy metal guitarists Alex Skolnick and Steve Morse. 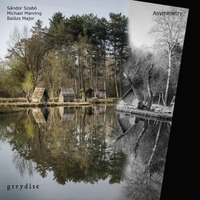 Asymmetry is based on three-part improvisation between Hungarian guitarist Sandor Szabo, Manring, and Hungarian drummer Balázs Major. 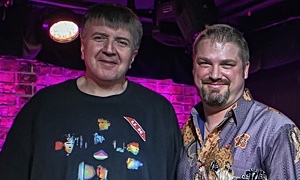 It takes a special kind of musician to go toe to toe with Manring and Szabo is more than up to the task. 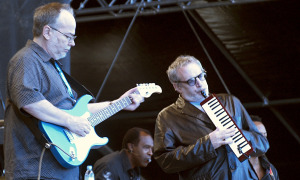 Szabo's guitar playing is uniquely influenced by traditional Hungarian folk music and the music of the far-east. 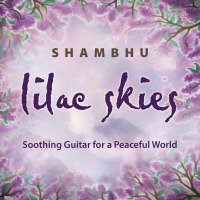 His use of instruments like the Lute, the Indian Esraj, and the Chinese Guzheng (zither) ensures this project never feels repetitive. Highlights "Earth Day" and "Terrazzo IV." There are few guitarists in the world as unique as Kevin Kastning. 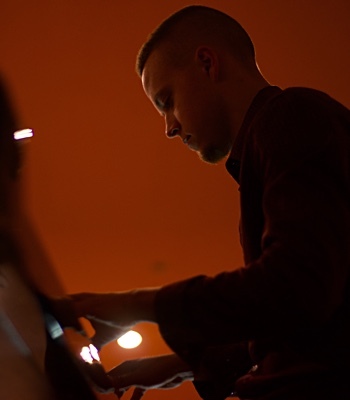 Kastning has a one of a kind sound influenced by both the classical and jazz worlds. Kastning's introspective style is complemented by his array of extended range instruments. On this album alone he displays a 36-string Double Contraguitar, a 30-string Contra-Alto guitar, and a 15- string Extended Classical guitar. Accompanying Kastning is Carl Clements on various saxophones and flutes. 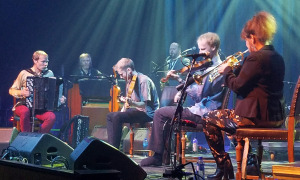 Like many of Kastning's recordings, the music is entirely improvised. 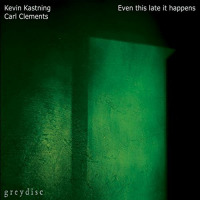 Clements glides effortlessly over Kastning's guitar lines, and the tonal contrast between the two keeps the album fresh. Highlights "A Veil of Absence" and "Circles and Waiting." Omar Sosa's unique pan-African style of jazz has created many of my favorite albums. The Afro-Cuban pianist never fails to present music that blends jazz improvisation, with world music traditions, to create something entirely his own. 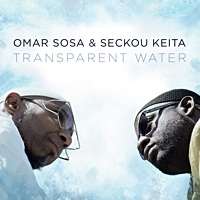 This collaboration with Senegalese Kora player Seckou Keita is another notch in his belt. The album is gentle and subtle throughout, with no instrument overpowering the other. 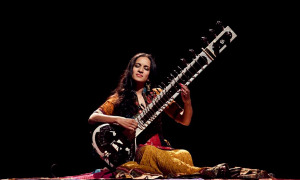 Sosa incorporates Asian influences on this album as well, featuring Wu Tong on the Sheng, a Chinese free-reed instrument, and Mieko Miyazaki on the Japanese Koto, a stringed instrument similar to a zither. Sosa contributes several stunning vocal performances on this record. Transparent Water is jazz at its most beautiful and inclusive. A testament to what is possible when people of different cultures come together. Highlights "Tama-Tama" and "Dary." 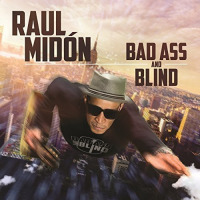 This Grammy Nominated album by Raul Midón is one of the best examples of his Steely Dan meets Latin Jazz sound. The title track has a groove sounds like a long-lost Donald Fagan song. Midón is blessed with a tremendous set of pipes and uses his range to great effect on this release. Thankfully Midón is not one for unnecessary vocal theatrics, and instead of serving the song. 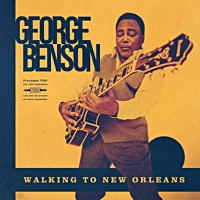 Badass and Blind is one of his most jazz-influenced albums to date with songs like "Wings of Mind" and "All That I Am" coming close to straight ahead jazz. Highlights "Wings of Mind" and "You and I." The virtuosic bassist demonstrates his one of a kind brand of 70s jazz fusion influenced electro-funk on this record. Those looking for bass pyrotechnics will not be disappointed as cuts like "Uh Uh" and "Inferno" showcase his bass skills. 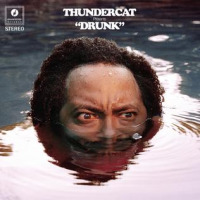 Thundercat can also be graceful with his virtuosity with the bass arpeggios of "3 AM" providing one of 2017s most beautiful moments. 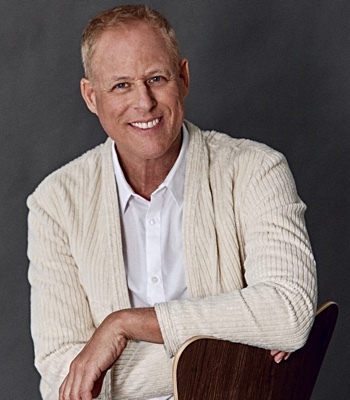 His falsetto dominates much of the preceding and his lyrics alternate between the comically absurd, like "A Fans Mail (Tron Song II)," to the vulnerable melancholy of the title track. Drunk also likely marks the only time we will see Kenny Loggins, Wiz Khalifa, and Kendrick Lamar on the same album. Highlights "A Fans Mail (Tron Song II) and "3 AM." Fred Hersch's playing is jaw-droppingly beautiful on this, his eleventh solo piano album. 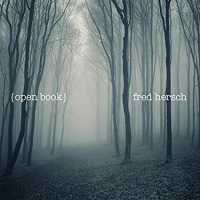 Open Book is dominated by the daring "Through the Forest" a 19 minute 36-second improvisation. 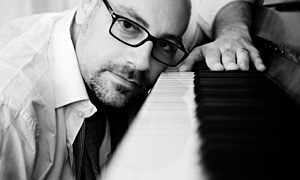 "Through the Forest" is unlike anything Hersch has ever done, a stream of consciousness piece, that ebbs and flows like water. 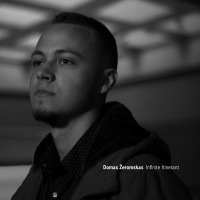 The other pieces on this album are more structured including "Zingaro" an Antonio Carlos Jobim composition. Highlights "Through the Forest" and "The Orb." Essential Non-Jazz Albums This section is reserved for two albums that I have listened to a countless number of times this year. It would be criminal for me to have a best albums list without mentioning them. This album is one of the most stunning artistic developments that I have ever heard. Tyler The Creator, often maligned for his immature crass lyrics grows up on this record. His jazzy R&B based production offers a great bedrock for the lyrical themes of loneliness and boredom that he explores throughout the album. 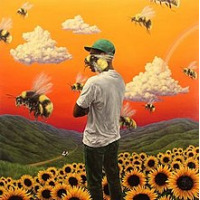 I would highly recommend this for jazz/R&B fans looking to get into hip-hop, especially since Tyler's production relies heavily on real instruments with only minimal sampling throughout the album. Highlights "Boredom," and "9-11/Mr. Lonely." One of the best debut albums ever. 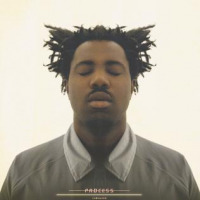 Sampha's unique voice complemented by his production style, which blends electronic music, R&B, and West African music. Sampha proves he does not need to rely on flashy production to create stunning moments on piano-based cuts like "No One Knows Me Like The Piano." Sampha's songwriting is personal, honest and to the point. 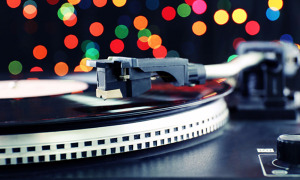 Process is the sign of an artist who will remain relevant for a long time. Highlights "No One Knows Me Like The Piano" and "Kora Sings."